If you know someone who suffers from Alzheimer’s Disease (AD) then you know how dreadful this illness is. All diseases are bad, but what makes Alzheimer’s such an awful condition is the fact that it not only affects the sufferer, but also impacts their family and everyone around them. 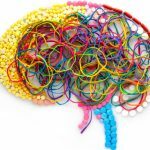 Despite the fact that Alzheimer’s is a very widespread disease affecting millions of people around the world, its causes are not yet fully understood. However, there are certain factors that seem to increase the risk of developing this vicious disease. Cognitive decline or impairment is one of the risk factors for Alzheimer’s disease. Another factor that has been linked to the development of the condition is poor mental wellbeing, and some mental disorders, such as depression. 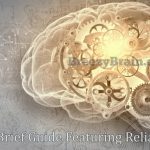 Decreasing or eliminating some of these risk factors may decrease the chance of developing Alzheimer’s. Improving your mental health may help you avoid Alzheimer’s disease as you get older or at least slow down its progression. It is important to note that there are no known treatments or cures for Alzheimer’s disease. Once it has started, all that can be done is improving the symptoms and quality of life of the patient and those around him/her. 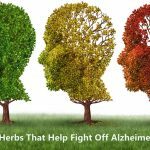 Many herbal remedies have been used to combat Alzheimer’s, and although none of them works like a charm, there are a few herbs that have shown positive improvement. 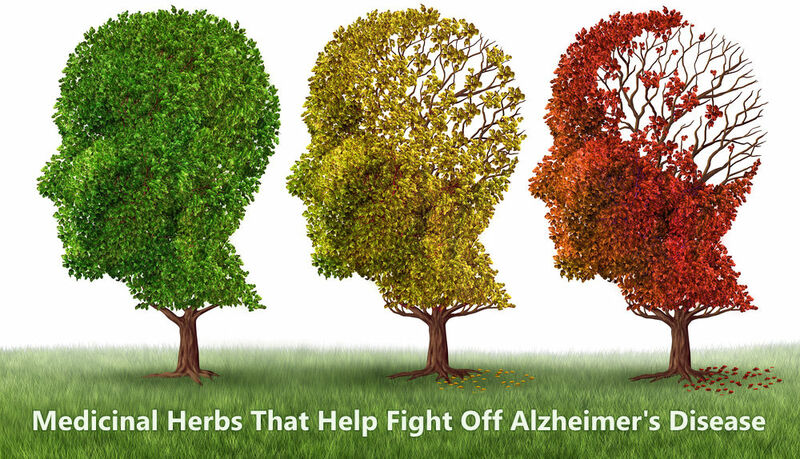 Again, no herb or any other known method can treat or prevent Alzheimer’s disease, but some herbal remedies may be helpful for both AD patients and healthy individuals who want to reduce their risk factors. For AD patients, herbal remedies may help improve the cognitive difficulties that come along the condition. For non-AD sufferers, medicinal herbs may improve mental health and enhance cognitive functions, which in turn may reduce the chance of becoming an AD statistic. Among the many herbs that are believed to provide a natural defense against the development and progression of AD, the following seven have considerable scientific data to justify their use. Huperzine A is a natural alkaloid that is extracted from the plant Huperzia Serrata. It works as an acetylcholinesterase inhibitor, i.e. it prevents the enzyme acetylcholinesterase (AChE) from breaking down the neurotransmitter acetylcholine as well as other neurotransmitters in the brain. 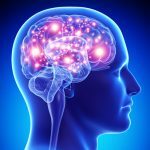 This compound has been clinically studied for the treatment of Alzheimer’s disease and other neurological disorders with some promising results. 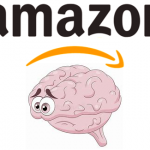 Although no conclusive evidence has yet been reached to confirm its efficacy, it is widely used as a cognitive enhancing dietary supplement. You must have heard of or even used this herb before since it is one of the most popular supplements for a host of different conditions. Ginkgo Biloba is a tree native to China, and its leaves have long been used in traditional medicine as they have been found to contain many flavonoids with potential therapeutic properties. Ginkgo is commonly suggested as a cognitive enhancer, and although not proven, it is claimed to improve blood circulation in the brain and help with memory and thinking, especially for older people. Some studies noted positive effects of ginkgo extracts for slowing down Alzheimer’s and other forms of dementia. On the other hand, one study was not so positive and concluded that ginkgo biloba wasn’t much more helpful than placebo in preventing dementia. Native to India and other countries, this herb has been used in traditional Indian medicine (Ayurveda) for various conditions, including some neurological disorders. Bacopa contains naturally occurring antioxidants including Bacoside A, which has been shown to have neuroprotective and antioxidant effects. There is some evidence that Bacopa Monnieri may help improve memory and other cognitive functions in the elderly. If you have a taste for herbal teas, you gotta love sage! This aromatic herb is not only good for making flavorful hot drinks, but it is also good for your health, and especially your brain. Sage has traditionally been used in folk medicine as a remedy for memory enhancement, and there is some science suggesting it may be beneficial for patients with wild to moderate AD. Whether it helps or not, you definitely won’t regret drinking a cup of this delightful herb every day. Next time you hit the store look for some fresh sage and add a few leaves to every cup of tea you make! Also good as dried leaves or in powder form. Speaking of medicinal aromatic herbs, here is another popular one; lemon balm. The aromatherapeutic leaves, essential oil, and extract of this plant have various uses in alternative medicine. Lemon balm has sedative and anxiolytic effects, and people commonly take it to help with anxiety, stress, sleep and mood. One study found that lemon balm may help manage symptoms of mild to moderate Alzheimer’s. Panax ginseng is a highly revered gift of nature, which was originally used in traditional Chinese medicine for thousands of years. Today, it is one of the top-selling dietary supplements in the USA and worldwide. Among its endless uses, Panax ginseng is an adaptogen that is used to help the body and mind combat the effects of stress. This herb is taken to enhance overall physical and mental performance, and there are scientific grounds to back up the claims. There isn’t enough evidence to suggest that Panax ginseng is particularly effective for AD patients, but one study showed it might be worth considering. Ashwagandha is a small plant whose roots and fruits are used in traditional medicine, especially in Indian Ayurvedic medicine. It is touted as a natural remedy for different issues, most notably for supporting mental wellbeing. 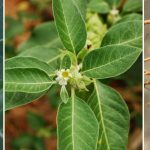 This adaptogenic herb is often used to reduce stress and anxiety, and there is a considerable amount of evidence to substantiate the many claims of its health benefits. Some studies suggested that ashwagandha may have neuroprotective effects protecting brain cells from damage, which can help slow down the progression of Alzheimer’s disease. 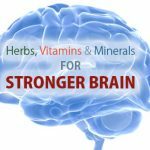 Many herbal concoctions have been used in ancient and modern times to improve mental health, combat cognitive decline, and protect against or treat Alzheimer’s. 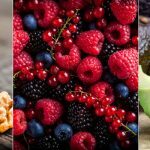 While most of those natural remedies are based on anecdotal evidence, some of them have been scientifically studied and proven to have considerable therapeutic potential. 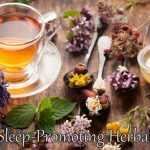 None of these herbs can make a dramatic change, and it is likely that some of them provide no significant benefits whatsoever. 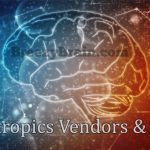 If you are taking drugs for Alzheimer’s, it probably isn’t a good idea to replace them with herbal treatments without consulting with your doctor. The Internet is full of misinformation and misleading advertisements for hyped up dietary supplements. Avoid wasting your money on ornamented products, secret formulas, break-through remedies, and such over-the-top claims with little proof, except maybe for some paid “testimonials”. Herbal supplements may provide a little relief and improve the quality of life for some people suffering from memory loss and other cognitive issues, but will they “treat” the disease? Probably not! At least none has been shown to so far.